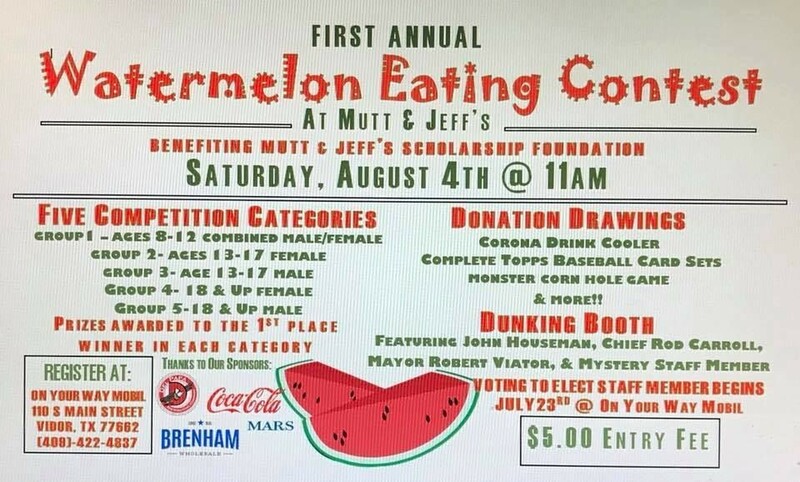 Mutt & Jeff's is having their first-ever watermelon eating contest. All proceeds benefit the Mutt & Jeffs Scholarship program. Come join the fun! Great prizes! Face painting, and a dunking booth being hosted by our Mayor Robert Viator and Chief Rod Carroll, John Houseman, and a mystery staff member! !